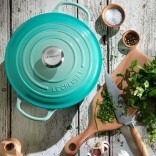 The 'Signature' Cast Iron Round Casserole by Le Creuset. 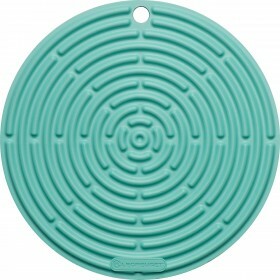 Cool Mint enamel finish with 28cm diameter. The essential kitchen classic. From a fifteen minute pasta ragu to a slow-cooked, fragrant stew; from tender, juicy roasts to freshly baked bread and cakes that rise to perfection and bake evenly, the Round Cast Iron Casserole is ideal for a wide array of one-pot recipes. Had a cheaper version for a while but finally decided to buy the real deal. 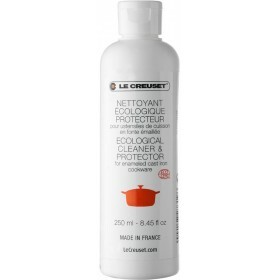 Have only had it for a few weeks but it cooks much better and evenly than the cheap one and is much easier to clean. Will definitely use it all the time. Just love the everything in one pot experience, brazing, glazing then into the oven, leftovers back in the fridge in the same pot. 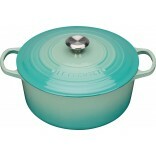 Once you cook with a cast iron casserole it is very difficult to go back to a conventional pot! 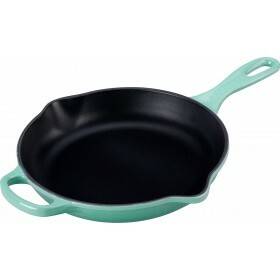 Well worth the investment and will instantly become the go-to kitchen pot for pretty much everything! 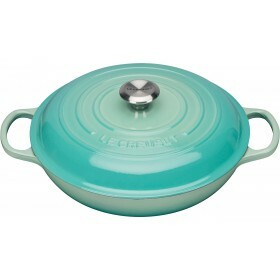 I am absolutely in love with this french oven, the colour is incredible and we used it right away. It keeps it's heat and works a treat for slow cooking! we made a magical beef bourguignon and was able to feed 7 hungry people easily. Love it, would highly recommend. 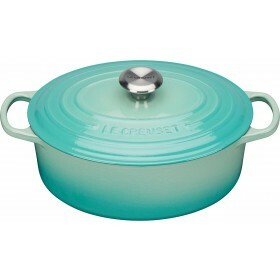 This is just awesome for slow cooking and I love the colour, so beautiful. I look for new recipes each week just so I can have another reason to use this pot! Cleans quite well, happy with purchase and service. Thank you for your fast service, particularly at this busy time of year. The parcel arrived safely, and is perfect. Very happy ,I love it! Stylish & practical. 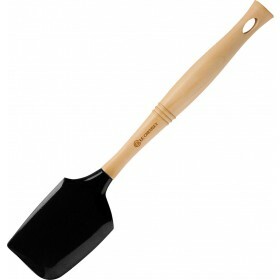 Item as described, excellent seller, highly recommended. 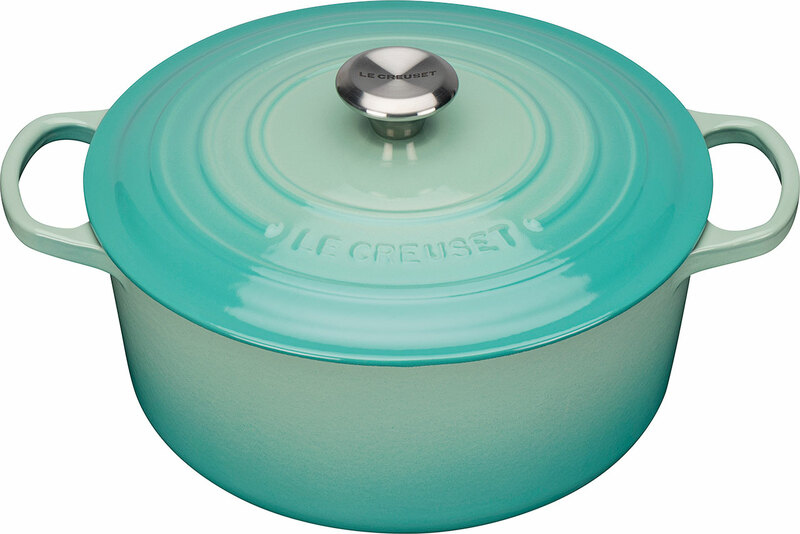 I've waited years to buy a Le Crueset French oven (a.k.a., Dutch oven) and it was worth the wait. They are pricey, but the quality justifies the $$$. This pot can't be beat for even heating and heat retention, and the lid fits perfectly. I use mine for pot roasts and stews like Beef Bourgoignonne and I couldn't be happier with the results. Whether you use it on stove top or in the oven, you'll never regret investing in this quality hand-crafted kitchen essential. A quick and easy experience. Used it twice in one week. Very quick responses, packaged well and sent VERY promptly. Arrived in time for Mother's day! !